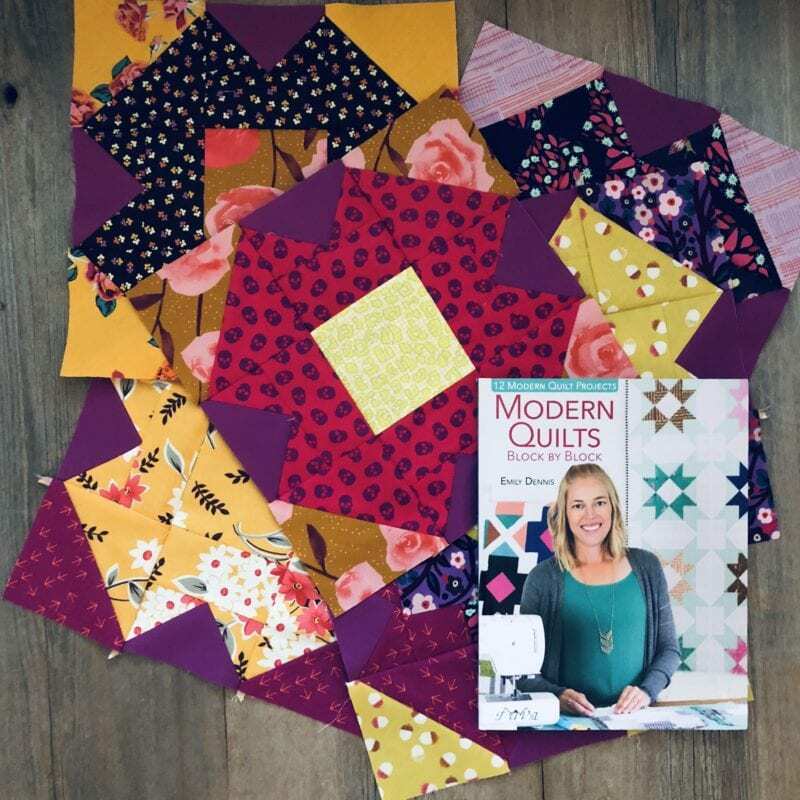 Today it’s my turn on the book/blog tour for Emily Dennis’s new book, Modern Quilts Block by Block. Most of the tour you can find on Instagram, but I wanted to show you all what I’m working on. 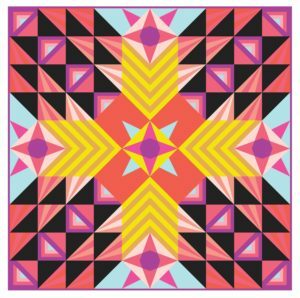 In the book, you’ll find 12 quilt projects featuring one or two repeating block designs. I chose to make (well, start) the “Shine On” quilt pattern from Emily’s book. 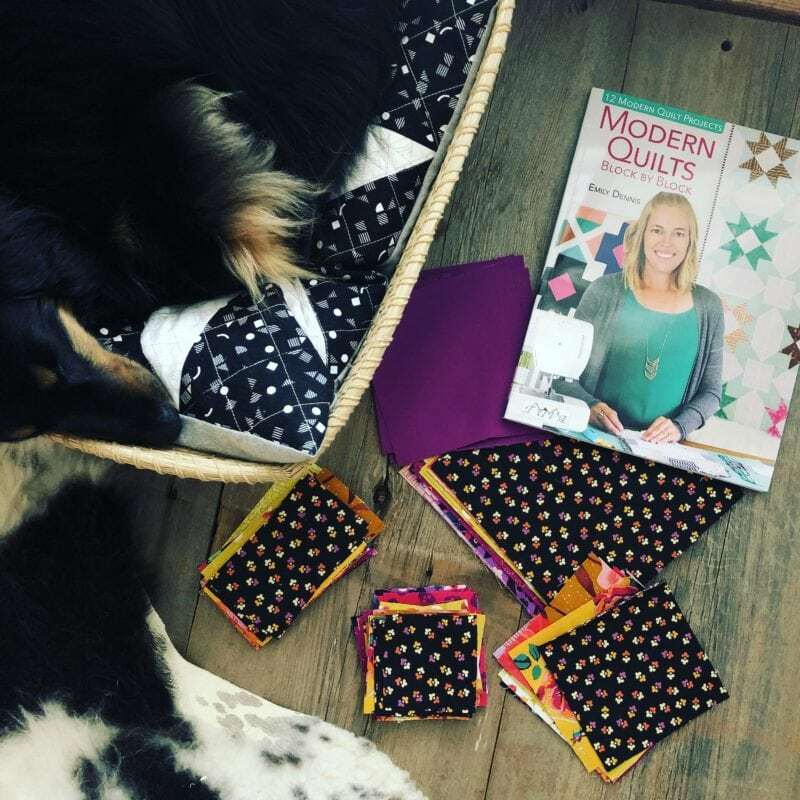 You know… I was just going to make one block for this tour, but once I started, I really just couldn’t stop myself from making (well starting) a new fall quilt. Plus we had our soccer games get rained out, so I had a few extra hours to sew this past weekend. Hooray! It’s been a little while since I’ve had a few hours to sew during the weekend. Honestly, I am so excited for fall and October this year. We had a beautiful fall last year when we lived in the Netherlands, but we really missed having our Halloween fun. Halloween isn’t too widely enjoyed over there. This year, I’m really enjoying my October. And part of that enjoyment has come through starting a new fall quilt. 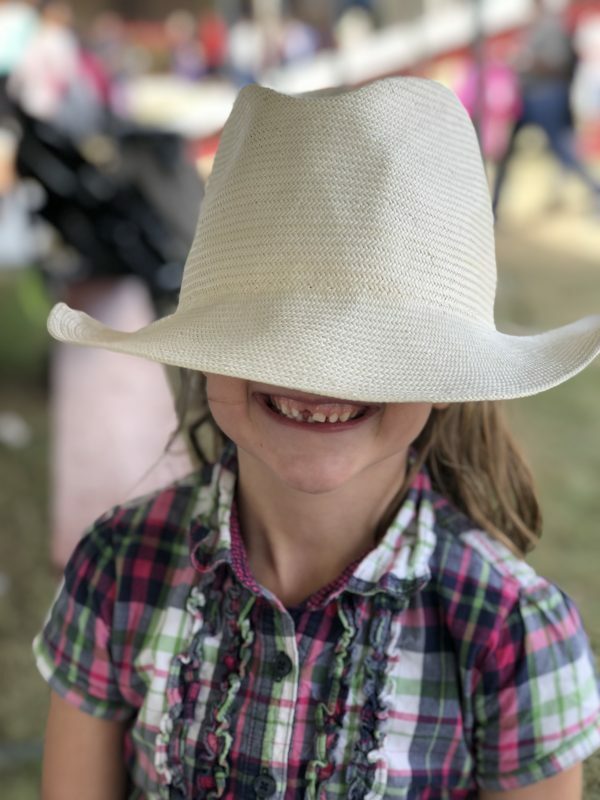 This is my littlest baby at the pumpkin patch this past Sunday. Saturday was rainy, but Sunday was beautiful! 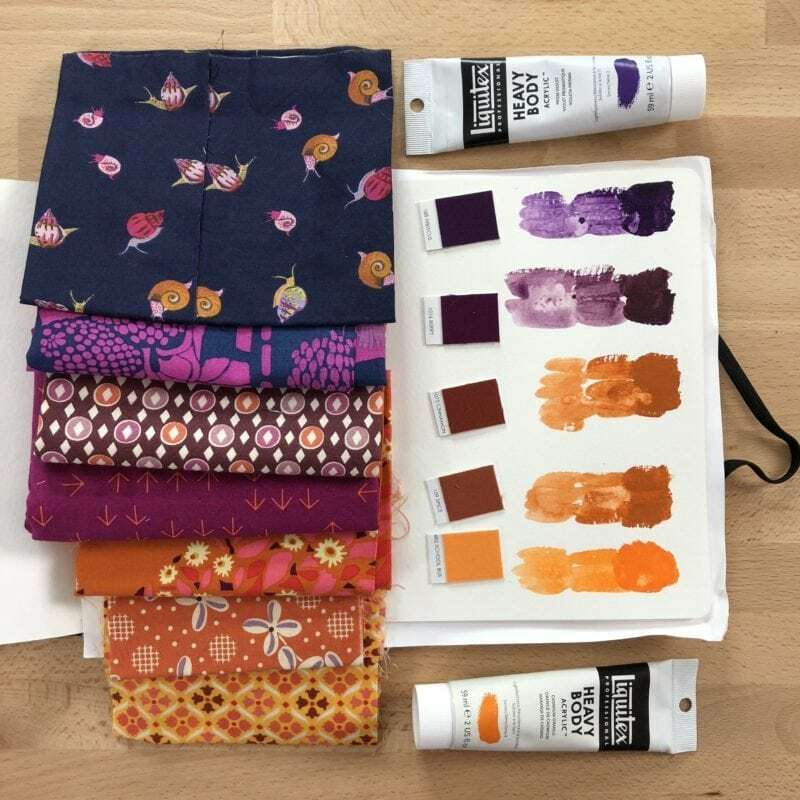 I think this orange and purple color palette I shared with you a few weeks ago as part of Playful Color Month must have been in the back of my mind as I chose my colors for my block. I am all about orange and purple!! But I also mixed in neon yellow and mustards. The “Shine On” pattern is a mix and match type of pattern, which I love! So once I had my fabric chosen and cut, the mixing and the matching does most of the thinking for me. So, I can just enjoy the process of piecing the blocks. My biggest decision was on my background: Did I want to use orange, linen, or purple fabric for the background? Maybe an orange someday… not today. Linen is so boring, lol. I NEED color! Ok, I’ve pieced six blocks so far and I have all the block pieces sewn. 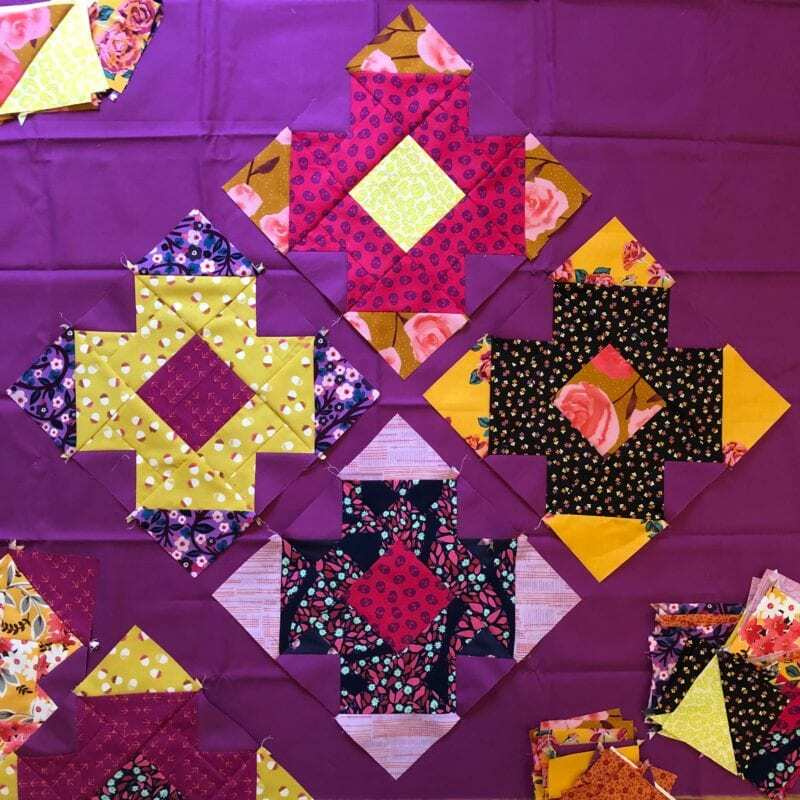 My next step is to finish making the blocks, decide on my final placement, and then complete the quilt top. It sounds so easy right? Hehe, truthfully, I probably won’t be able to finish it before it’s time for Christmas colors. So I’ll likely save it as a WIP for another Autumn season. But I really have enjoyed making this quilt with these colors. Here’s what my blocks look like set against my background. My background is Kona Geranium, a red-purple. These blocks are going to be super fun because the different placement of the colors will allow different parts of each block to stand out. So sometimes the center will stand out the most while in some blocks the plus shape will feature brightly. It’s fun to watch the fabrics dance and sing against each other. 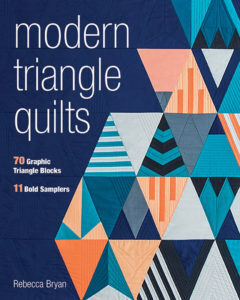 Emily’s book, Modern Quilts Block by Block, is a book filled with solid and easy modern quilt patterns. 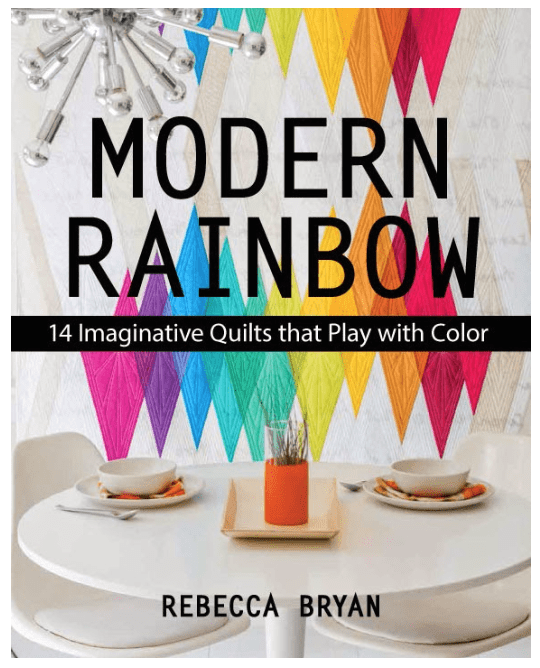 If you are looking for a book of modern basics that will yield quick modern quilts featuring one or two block designs, then you will love it. Check out the rest of the makers on the book tour for a more complete view of the patterns in the book. 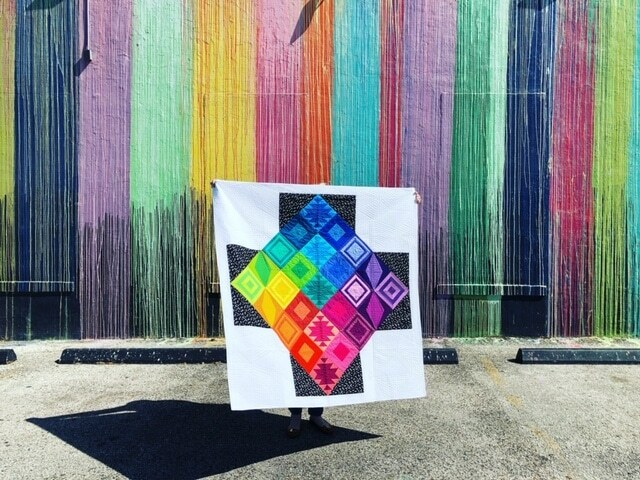 You can do this by searching the hashtag #modernquiltsblockbyblock. 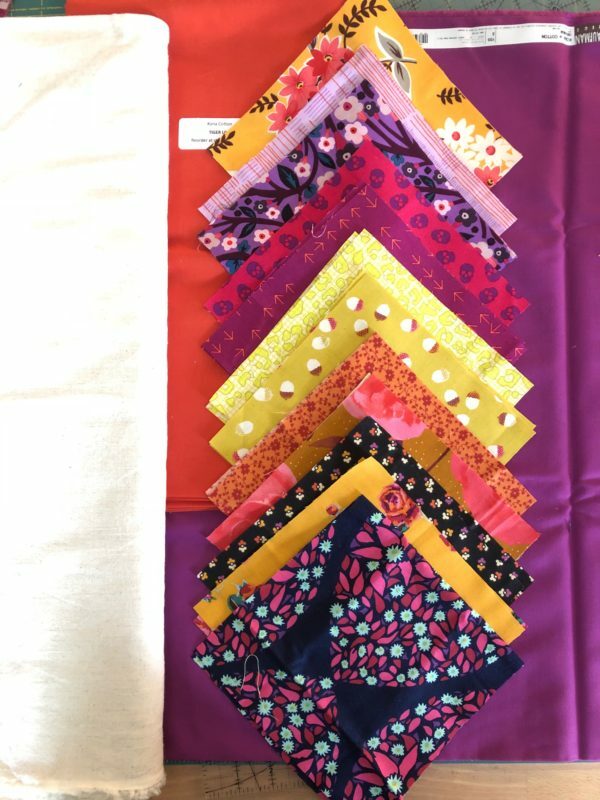 « What do you do with Fabric Selvages? Save them!